Grand Theft Auto Online's After Hours DLC got a major expansion today with a wide range of new content. While Rockstar only revealed the whole package now that it is released as usual, they let slip a teaser in advance regarding two vehicles and a new kind of activity that will be added to the game. The last resident DJ, The Black Madonna, has also arrived to Los Santos. 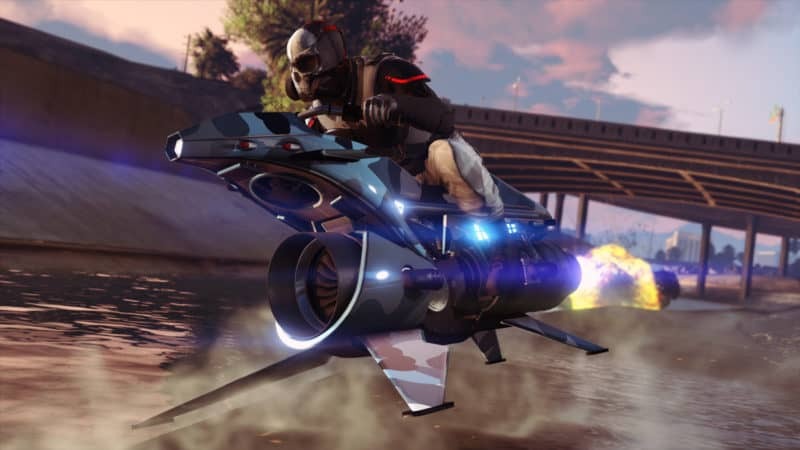 The existence of the Oppressor Mk II has been known ever since After Hours was released, as data-miners dug into the game files and uncovered its 3D model almost instantly. It and the Terrorbyte, a vehicle very similar to the Mobile Operations Center, are now available to further augment your clandestine dealings. The Terrorbyte is a unique vehicle in the sense that it offers even more functionality than the MOCs and the Avenger do - it's almost on the level of a business-specific property. Physically smaller than the MOC, the Terrorbyte is an armored communications truck loaded up with hardware and software from Paige, Lester's hacker contact. Using the special systems on board, you can control all of your businesses on the go. It's like how your nightclub combined all of your businesses, but now it has wheels. From your Terrorbyte computer, you can manage all of your clandestine dealings as well as the work your technicians are conducting at your nightclub warehouse. Additionally, you can also control drones from the terminal, which are equipped with cameras and stun guns. 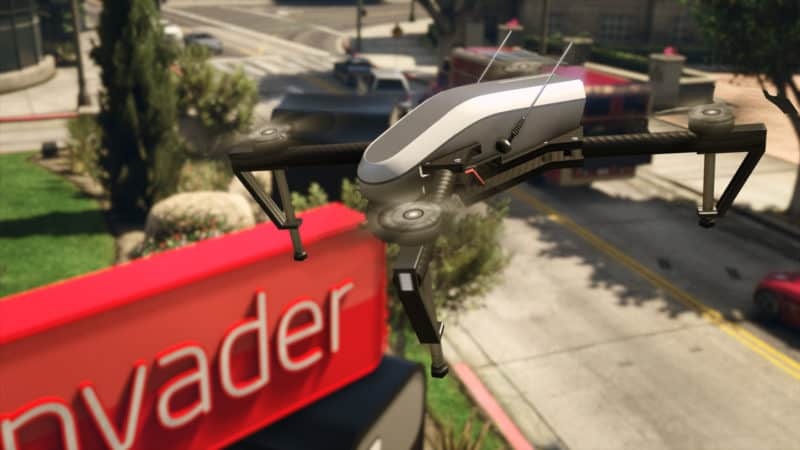 The drones' cameras are connected to the Terrorbyte's database which is wired into old LSPD scanners, allowing you to get a detailed profile on any character that appears on screen. These drones are also used for the new activity. Beyond drones, the Terrorbyte's defense capabilities include a multi-lock missile launcher. Said new activities are so-called Client Jobs, which require the use of the Terrorbyte and the drones. 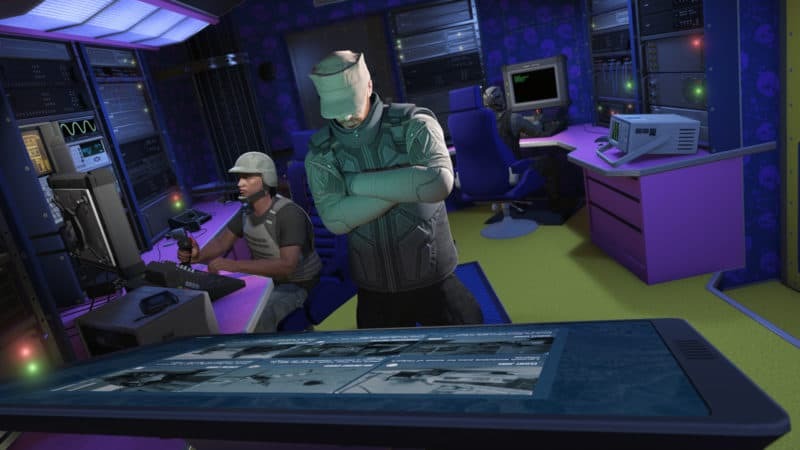 These missions will have you using the cameras and hacking capabilities of the drones to conduct robberies and data-theft remotely and can earn you GTA$ in new ways. There are a total of 6 Client Jobs available via the large touchscreen in the Terrorbyte. The Terrorbyte also lives in symbiosis with the new Oppressor Mk II. Due to being smaller than the MOC, a full vehicle workshop can't fit inside, but space for your flying deathbike is provided. You can upgrade and customize your Oppressor Mk II in your Terrorbyte and launch from it too, making it a particularly destructive platform. Depending on how you trick it out, the Terrorbyte will cost you between GTA$ 1,375,000 to 3,459,500. Speaking of the Oppressor Mk II, it is a true evolution of the Oppressor concept. The regular version takes a bike and bolts a pair of wings onto it allowing it to fly, while the Mk II reverses the equation and instead straps a seat to a jet engine. Gone are the wheels, replaced by retractable wings that enable hovering and a huge engine allowing indefinite air time. It also has lock-on missiles. 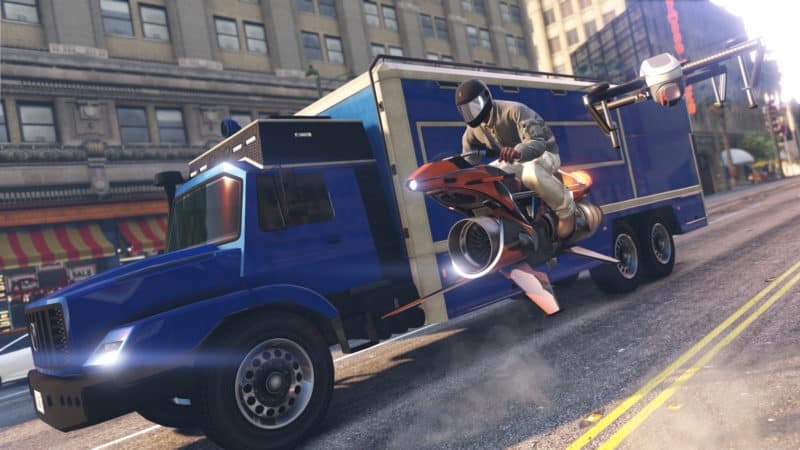 The Oppressor Mk II is guaranteed to wreak havoc on GTA Online's freemode even in spite of its relatively high price - the full cost of one of these babies is GTA$ 3,890,250, with the trade price being GTA$ 2,950,000. You can only upgrade this ride in the Terrorbyte, so it is advisable to purchase both vehicles. For ease of access, both rides can be summoned and returned to storage via the interaction menu, and neither occupy garage space. You can recruit the newest, and also final, resident DJ for your nightclub starting today. As seen in the trailer for After Hours, the recruitment mission for The Black Madonna is available now allowing you to spice up the life in your venue with the newest tracks. With a complete set of four resident DJs, remember to keep things varied and switch them out every now and then. A wide range of vehicles and upgrades are discounted by 30% this week, so if you have a few open garage slots it's time to fill those up. Items on offer include the Annis RE-7B, Pfister Neon, HVY APC, BF Dune FAV, liveries, engines, bombs, countermeasures, armor plating and various vehicle weapons. Discounts also extend to select properties, though at 25%. Just about anything you need to kick off your criminal businesses around Los Santos are on offer so you don't have much excuse staving any of these investments off. Items include Hangars, Bunkers, Clubhouses, Offices and all kinds of upgrades, renovations and warehouses associated with these businesses. This week's dripfeed DLC is pretty major compared to most we get, and this was the first time in a very long time that Rockstar gave some sort of tease regarding upcoming content not related to a major DLC. It's possible this was a one-time thing, however it is also possible that from now on we'll know a day in advance what each week's newest vehicle is.